On Friday, April 6, 2018, at 6:26 A.M. Southeast Officers were dispatched to the Fresno IRS located at 5339 E. Butler for a report of a man who drove his vehicle through the gates of the IRS property. The suspect fled the scene and left his vehicle behind after causing thousands of dollars’ worth of damage. Det. Donnie Dinnell responded to conduct an investigation and attempt to identify the suspect. Det. Dinnell used the information left in the suspect vehicle to locate a name and photograph of the possible suspect. Witnesses viewed a photographic lineup and positively identified the suspect. 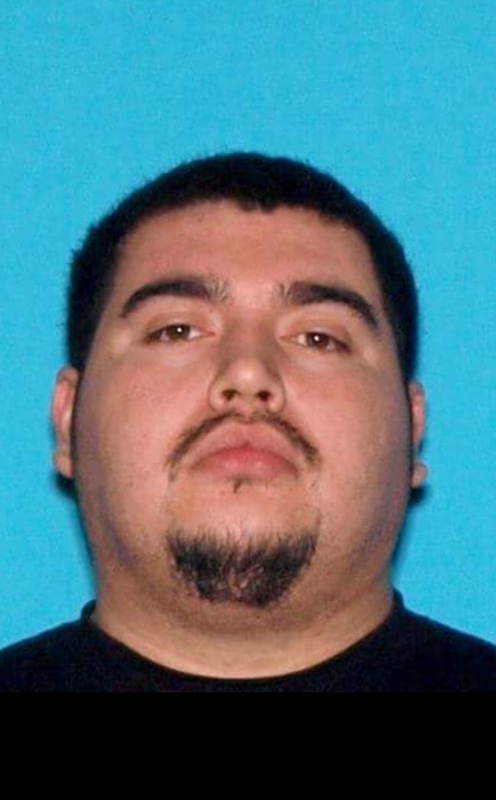 The suspect was identified as 25 year-old Moses Martinez of Fresno. SE SRT Officers immediately began searching for Martinez. Their search led them to 4431 E. Hedges Apt. F and 3317 N. Pleasant Ave Apartment 102. SRT Officers contacted a man at the front door of apartment 102 and asked him for consent to enter and search for Martinez. The consent to enter the apartment was granted. After a brief announcement at the front door calling Martinez to come out and surrender, Martinez exited the back bedroom wearing only jeans and shoes holding a half-eaten cheese burger in his left hand. Martinez initially refused to step out until he finished his Cheese burger. SRT Officers were successful in persuading Martinez to put the Cheese burger down and surrender. SRT Officer M. Padilla interviewed Martinez at FPD Headquarters. Martinez accepted culpability for his actions and Martinez apologized.